The Crystal of the Day Sunday 24 November 2013 is Sunstone. Sunstone was associated with the Sun during the Renaissance because of its sparkling orange-gold hue. It was used by magicians to call upon the influences of the sun. It is a protective stone. 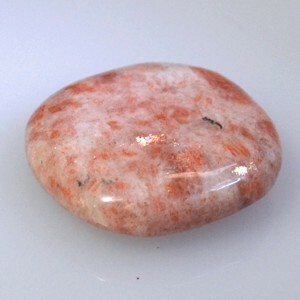 Placed before a white candle, sunstone will spread protective energies throughout your home. Symbolically, sunstone is linked to moonstone. Carry the two stones together to bring the influences of the Sun (Healing, Protection, Success) into harmony with those of the Moon (Love, Peace, Spirituality). Sunstone is worn to: Give you extra energy when you are ill or under stress, it stimulates sexual arousal and increase sexual energy, Increase self-healing power, and promotes harmony among the organs functions. Sunstone stimulates your personal power of attraction. Chakras: Sacral Hara Chakra and Solar Plexus Chakra.